I am excited to share with you guys one of my all time favorite baked goods! 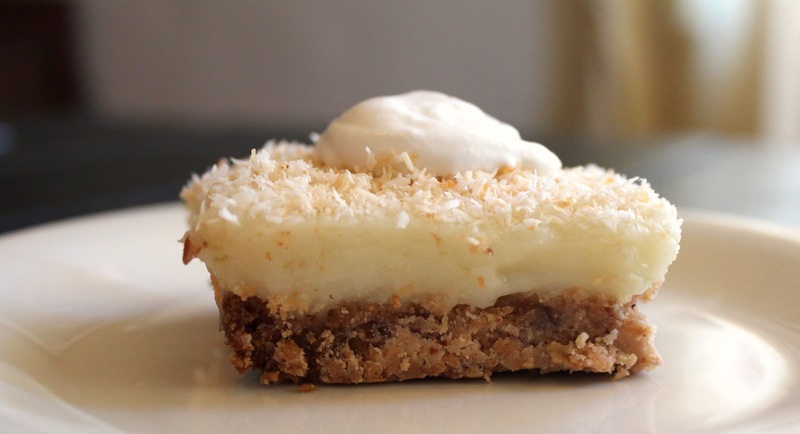 It’s really hard to beat the combination of limes and toasted coconut in this tangy, sweet, delicious bar that is surprisingly creamy for something that it doesn’t have any eggs, butter, gluten, or dairy products! To begin, you will need to prepare the lime filling for the bars. The first part to the recipe is this tangy, sweet, lime filling that is pretty fabulous as a standalone jelly. I like it smeared on toast, as a dip for fresh fruit, as a topping for waffles, and as a custard-like filling for vegan baked goods! This recipe also works great if you swap out the lime juice and zest for lemons and makes very delicious filling that can be used to make lemon bars. 1) Over medium heat, add lime juice, 1/2 cup water, lime zest, sugar, and salt to a sauce pan, stirring constantly with a whisk until mixture begins to boil. 2) Allow mixture to bubble for 1-2 minutes undisturbed, until sugar dissolves and mixture becomes slightly thickened. 3) In a small bowl, create a “slurry” by combining the arrowroot powder and 1/4 cup of water, whisking until there are no clumps. 4) Slowly whisk in the arrowroot slurry, stirring constantly until mixture thickens significantly. 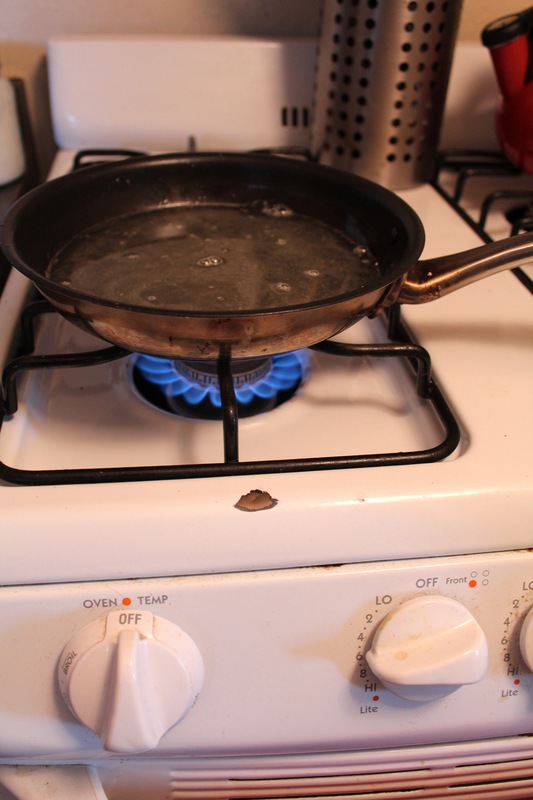 5) Remove saucepan from heat once the mixture becomes thick, bubbly, and translucent. 6) Stir in coconut oil and coconut cream. 7) Place lime filling into a container and allow chilling in the refrigerator until set and thickened, or at least 2 hours. Once the lime filling has set, proceed to the next set of directions to put it all together into lime bars. 1) Preheat oven to 350 degrees F. Spray an 8” by 10” baking pan with coconut oil or cooking spray. 2) Combine the almond flour, pecan pieces, sugar, and 1/3 cup of toasted coconut. 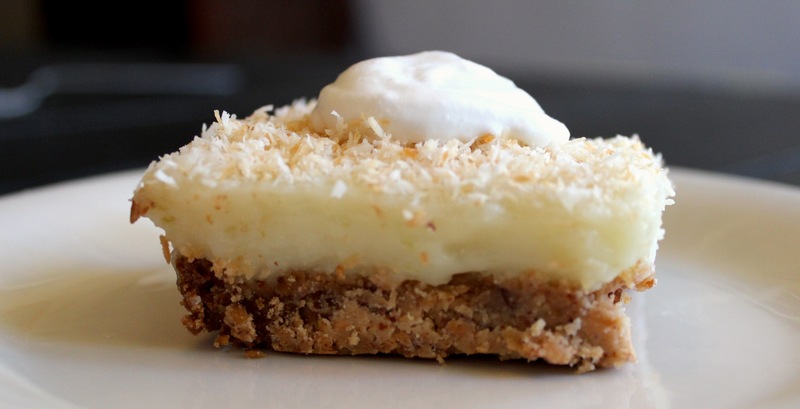 Set the remainder of the toasted coconut aside for sprinkling on top of bars after they are done baking. 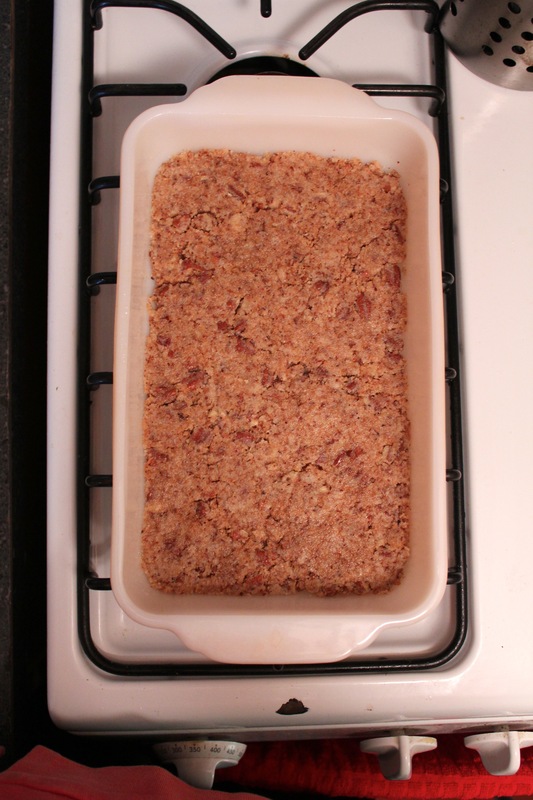 3) Mix in the coconut oil & press the mixture into the bottom of the prepared baking pan. Bake for 15-20 minutes, until golden brown. 4) While the crust is baking, combine the arrowroot powder and prepared lime filling in a separate bowl and mix well. The filling should be smooth with no clumps. 5) Once the crust comes out of the oven, let it cool for a few minutes and then pour the lime filling over the crust. 6) Place the pan back into the oven and bake for another 20-25 minutes, until the edges are slightly crisp. 7) Remove from the oven and sprinkle with remaining toasted coconut. Let cool in the pan. 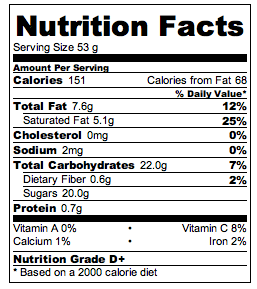 Here are the nutrition facts, just in case anyone was wondering. 1) Place coconut cream, vanilla, and honey in a bowl. 2) Mix with an electric whisk or cake mixer until fluffy. Alternatively, you can pour into a jar or container with a tight fitting lid and shake vigorously for several minutes until the cream thickens. 3) Store in the fridge until thick, chilled, and ready to be served; it can be kept in the fridge for up to a week. Would this recipe work with lemons? Yes! This recipe makes fabulous lemon bars. You can swap the lime juice & zest for the lemons instead, using the same measurements. I love to use Meyer lemons for this alteration because they’re so naturally sweet.